Unlike the other resources your company makes use of, labor requires a careful balance between management control and staff autonomy – this is due to the fact that when you deal with human capital there are various subjective issues to consider. The art in the proper development of a workforce management system is in knowing what information is needed, how to capture it most accurately and how to best make it available where it is needed on time. We believe that our extensive experience and expertise have allowed us to develop a comprehensive, robust and user friendly solution. Track all breaks, lunch, overtime, late arrivals, early arrivals, etc. Generate “bank accounts” to be able to track how much sick or holiday leave an employee has available. Automatically inform supervisors when any shift irregularities take place, e.g. an employee being late. Provide each employee with the ability to review their available work-related entitlements, e.g. sick leave. Report on workforce related matters such as overtime, “down-time” etc. 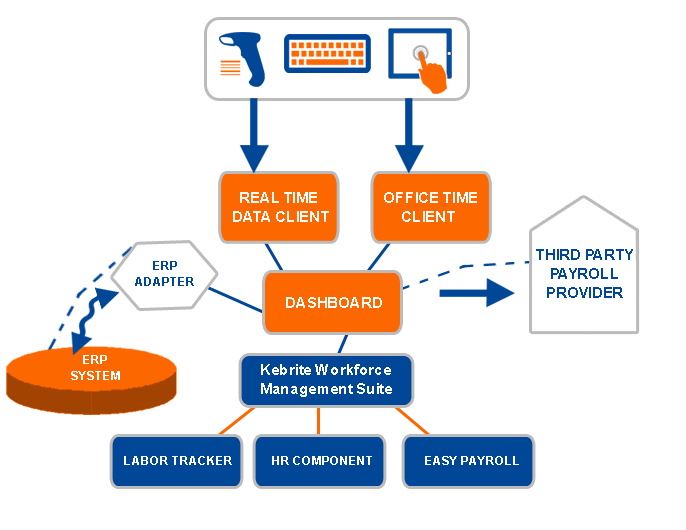 Schedule many different shifts and automatically track information pertaining to each shift. Set up multiple departments, pay classes, branches and track their labor hours. Report on the accurate expenditure of labor.